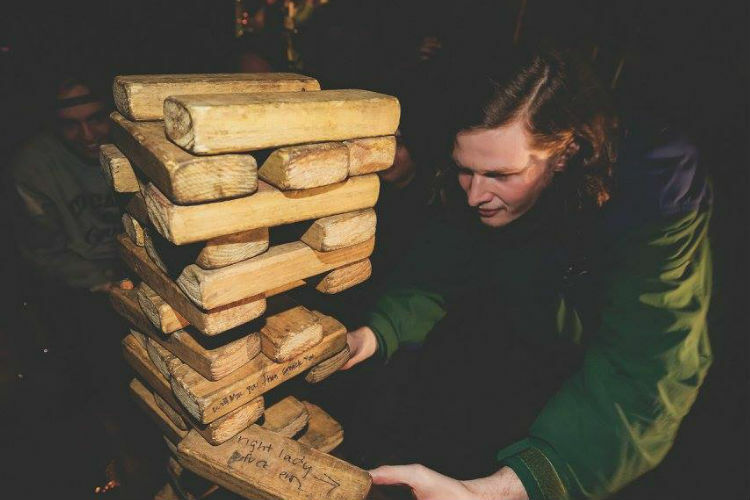 Board games always make any evening at least 100% more enjoyable, and we’re glad Melbourne is full of bars that realise this. That’s why we’ve pulled together this list of the five most awesome bars and pubs that cater for your inner child! 29th Apartment is one of our favourite places in St Kilda (if not the world). It’s a bar that’s actually themed like a kind of timeless, kitschy apartment full of fascinating oddities and themed areas based on the bathroom, bedroom, living room, etc. Plus, it’s got giant Jenga! And, if that’s not enough, there’s also table soccer and Sopranos pinball. It might sound like the name of Rhonda’s long time love (Rhonda and Ketut 4eva) but Katuk is actually a very classy bar with an eye for style and a heart for cosiness. Thursday night is trivia night (plus a sweet $15 burger and booze deal), but you can head down any time for a few rounds of Connect Four by the lovely old fireplace. Oh, and Mario Kart! Quite possibly the world’s only George Costanza-themed drinking establishment (only in Melbourne, right? ), George’s Bar is both a recent and very welcome addition to the Fitzroy scene. Despite the, er, unusual theme (make sure you try an Art Vandelay toastie, by the way), it’s a very simple, laid-back sort of place, and the weekly, unsurprisingly Seinfeld-heavy trivia night is tons of fun. Give it a go! Are you a die-hard Jason Alexander fan? Review George’s Bar right here! A classic Irish boozer hosting live music five times a week, The Drunken Poet was recently voted into The Irish Times’ list of the ten best Irish pubs outside of the country itself. It’s a friendly, honest sort of place, and Siobhan the landlady is pretty much one of Melbourne’s most beloved figures by this point. Stop by on Tuesdays for the devilishly tricky weekly trivia contest! Much like everything else, the fine game of bingo is improved immeasurably when you chuck drag queens into the mix. The legendary GH Hotel understands this perfectly, of course, and its Bingo Au Go Go shows draw in many a happy patron every single week. Expect amazingly awesome food, fabulous spectacle, tons of laughs, and even intermittent bouts of bingo every now and then. Did you enjoy bingo night? Don’t forget to rate and review it on True Local! That should keep you amused. And why not review these places once you’ve checked them out? Thanks!